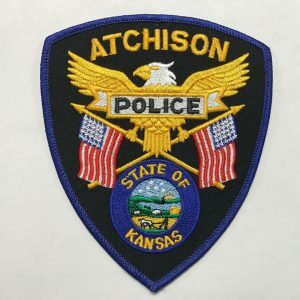 Crime in Atchison was down 19 percent in 2018, to the lowest rate in the city since 1986, with many areas showing improvement year over year. There were 1,382 total criminal cases in 2018, down from 1,709 in 2017. Key indicators like theft, burglary, criminal damage and traffic accidents all decreased in 2018, which combined with a record clearance rate has city officials believing that Atchison is the safest it’s been in years. The police department had a 78% clearance rate on criminal cases in 2018, the best on record. The average clearance rate over the previous 10 years in Atchison was 62%. Nationally, clearance rates vary by crime. For instance, the highest clearance rate nationally is for murder cases – which was at 64.1% in the latest statistics available from the FBI. Police Chief Mike Wilson said the department’s success in solving crime cases is attributed to a diligent, talented, experienced staff that works as a unit and cares.